"Talk the talk and walk the walk. Here’s a pair of boots I never thought I’d be launching: tough-looking commando-sole boots that will add a bad boy slant to whatever you choose to wear it with." 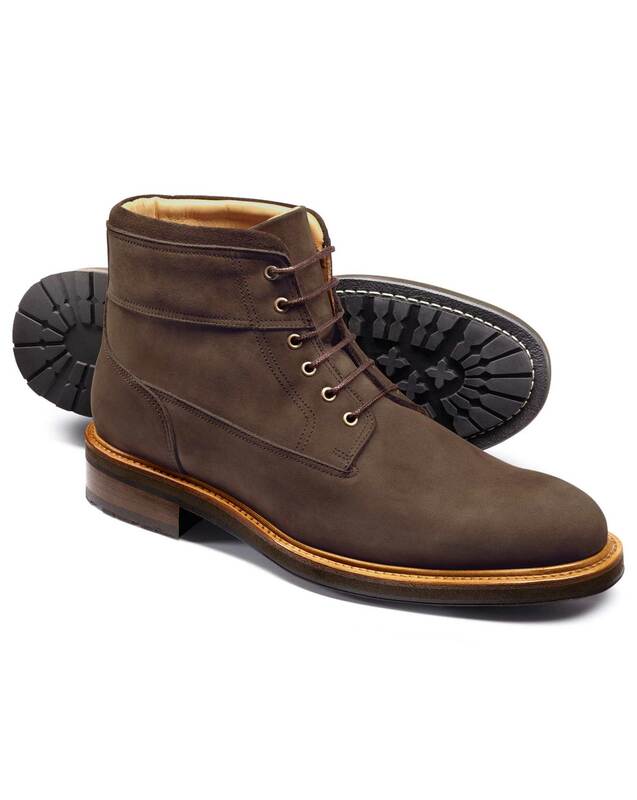 "Modern boots with a sturdy rubber sole for a tough look and extra grip." Great bootsvthat look terrific on. Design superb as always. Size 12 equivalent to 13 in runners. Great fit.